Ink is an essential part of screen printing but getting ink on your clothing can be a nightmare. At Steve Wood Services our products, where possible, comply with our environmental policy to avoid using damaging chemicals such as chlorinated hydrocarbons, making them better quality and safer. Don’t let your masterpiece ruin your clothing with these simple solutions. 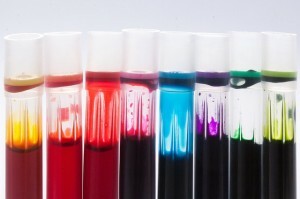 Always wear protective or old clothing before using or handling inks. Plastic as opposed to fabric aprons can be easier to clean too. Treat the stains immediately as fresh stains are easier to remove whilst dry stains can become ground into the fabric and more challenging. Never rub or wipe at a stain but blot at the fabric in order to protect the rest of the clothing rather than spreading the stain. Many ink removing methods need time to work. Alcohol-based solutions though should be put in the washing machine whilst they are still wet though. 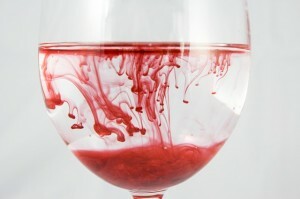 Alcohol will neutralise the pigment in fresh ink stains making it disappear. Clothing can be soaked in rubbing alcohol before being washed as normal, or the stain can be blotted using a cotton swab. Keep using a clean swab as many times as necessary before dabbing at the area with cold water. For particularly heavy stains, the fabric needs to dry after each time before trying to remove the ink stain again using the same blotting and rinsing process. A mixture of two parts methylated spirits (denatured alcohol) and one part cloudy ammonia works best when removing stains from non-synthetic fabrics. Soak the clothing before adding vinegar to neutralise the ammonia solution, then wash the garment as usual. Place a paper towel underneath the stain before applying hairspray. Spray the stain liberally until it is saturated before blotting with a damp cloth. Repeat the process, then wash as normal. The hairspray will cause the ink to dissolve but make sure it has been completely removed before washing or drying because heat from drying will set any remainders of the stain. There are a number of ways that milk can be used to remove ink stains from fabric, and as something found in the majority of homes it is a cheap solution. Cold milk can be soaked on a stain after the fresh ink has been dabbed at lightly with paper towels, before washing. Milk heated to a lukewarm temperature can be applied to the stained part of the fabric, then the clothing can be rinsed and washed. 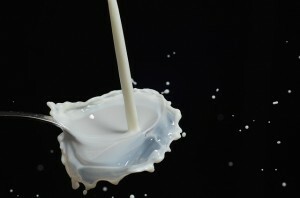 Rotten milk solids that have grown lumpy and odorous can be applied to the stain directly using your fingers. The lumps should soak up the ink; remove these and apply more milk until the ink has bled completely out of the fabric. Lightly rub the stain with a bar of soap and cold water before rinsing completely with water and washing as usual. For more information about all of our products available at Steve Wood Services don’t hesitate to get in touch with us. We can offer technical advice and produce materials specifically suited for you. Have a look through our blog to learn more about screen printing, inks, and how best to market your brand.